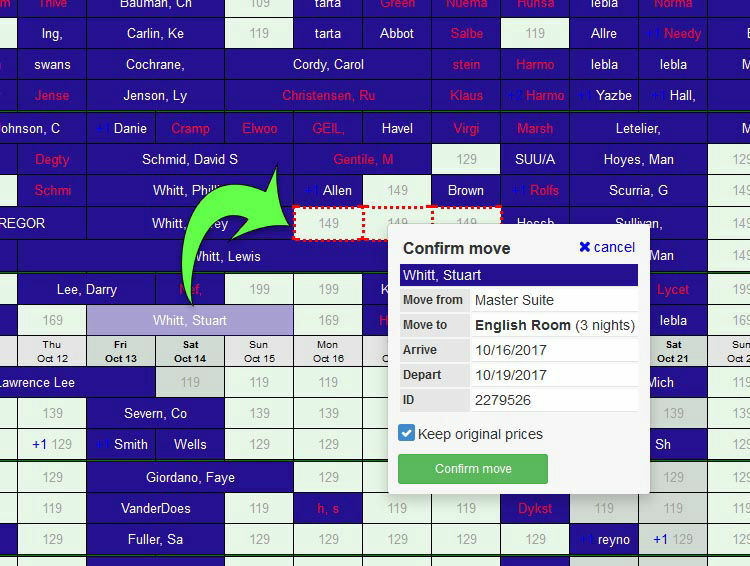 ReservationKey makes it super easy to see at a glance your current availability, guest status, and more. Many preference settings to adjust the look of the calendar just as you want it. Drag and drop to move reservations. Just click, drag, and drop reservations to re-arrange your calendar. 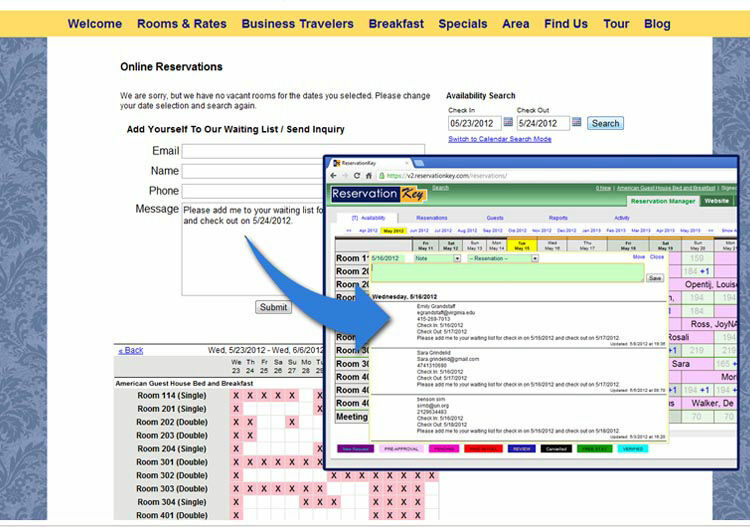 See reservation information clearly summarized on one page. 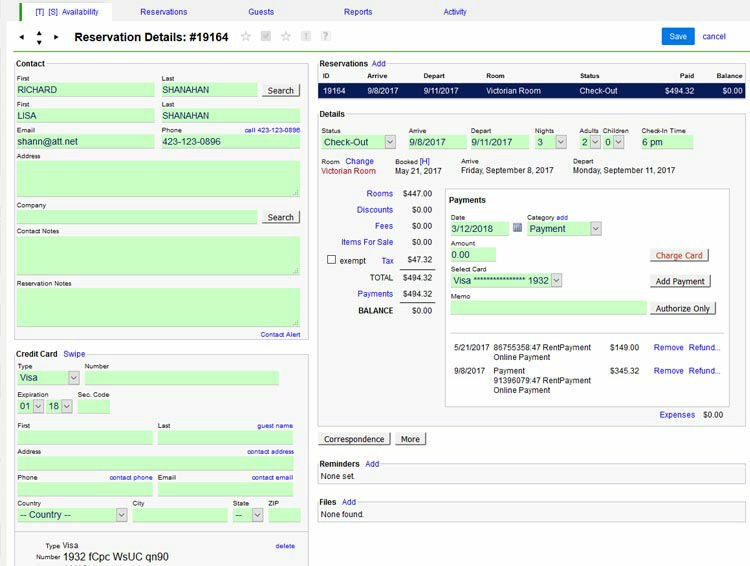 Guest history, charge credit cards, send correspondence, and more. 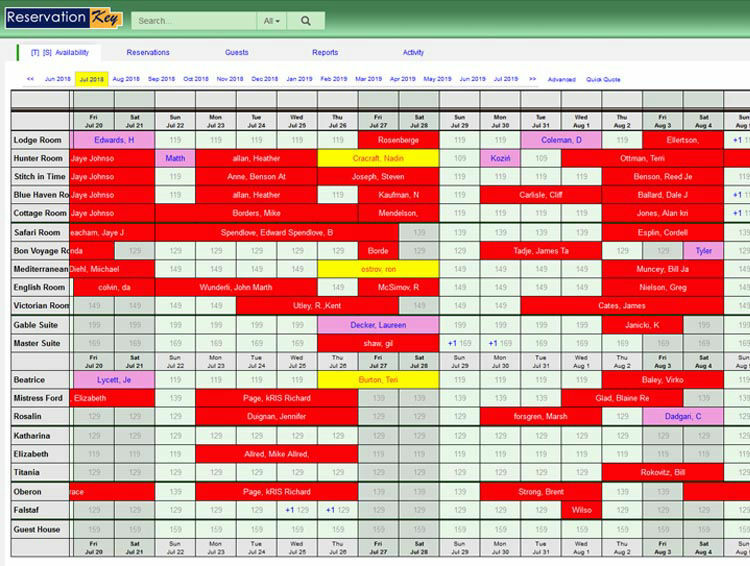 When no dates are available requests can go into a waiting list, which is easily accessible from the main calendar.